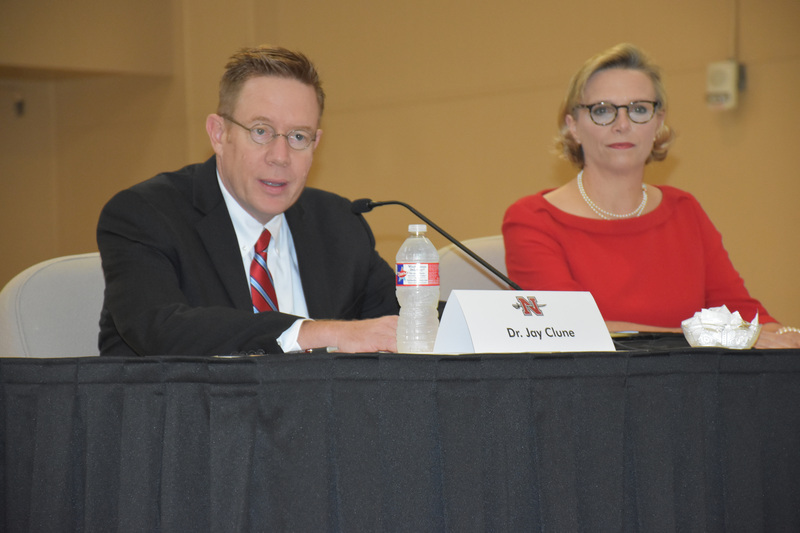 The Nicholls State University Presidential Search Committee selected three finalists, Jay Clune, Marcheta Evans and John Doucet, to present to the Board of Supervisors for the University of Louisiana System for consideration. The Board will meet Nov. 14 in Baton Rouge to interview the finalists and select a president. The Committee considered six semifinalists during a three-day process that included student, faculty, staff and community meetings. Chairing Nicholls State University’s search committee is UL System President and CEO Jim Henderson as a nonvoting member. 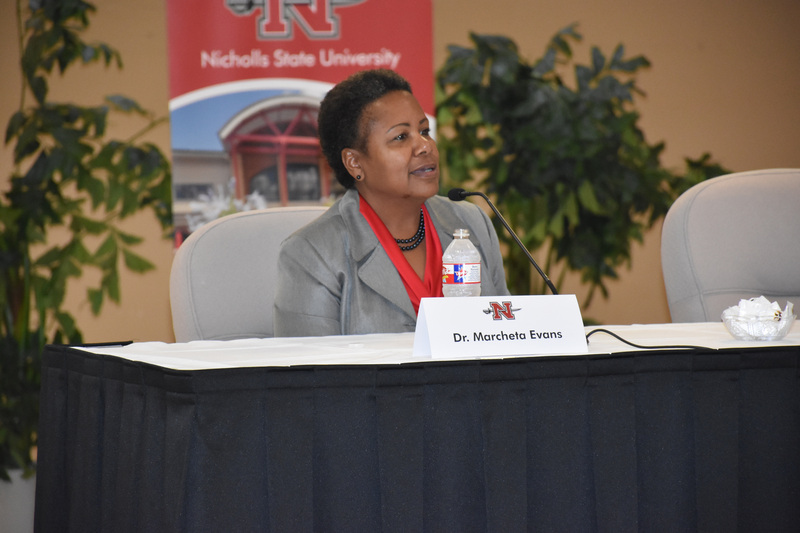 Voting members include Nicholls Faculty Senate President David Whitney and UL System Board Members James Carter, Beau Martin, Shawn Murphy, Al Perkins, Elizabeth Pierre, Mark Romero, Winfred Sibille and Student Board Member Ben Rice. Nonvoting members are Nicholls SGA President Tommy Thibodeaux, Nicholls Foundation President Chris Riviere, Nicholls Alumni Association President Paula Arcement Rome and community representatives including Kirt Chouest, Bishop Shelton Fabre, Alice Pecoraro and Donny Rouse. In September, Nicholls President Bruce T. Murphy announced his intentions to transition from the university’s top post by the end of the year. Information regarding the search will be posted on ULSystem.edu/NichollsSearch as it becomes available.